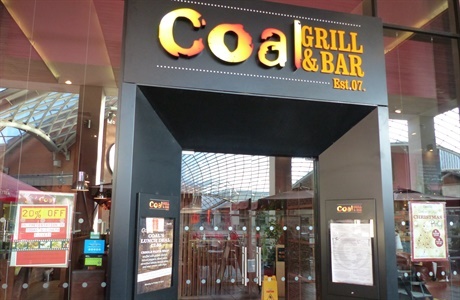 Coal Grill & Bar, situated in the Cabot Circus shopping complex, offers a cool location and a fantastic selection of food for enjoying a sit-down meal, or simply lounging on a sofa with a cocktail and a snack. The atmosphere changes to suit your mood, with hot Latin rhythms turning to cool jazz. But the fresh, chargrilled cuisine is always on offer, making no visit complete without trying Coal Bar & Grill’s trademark flame-grilled fire-sticks and a glass of the best house wine.